1. Qatar Airways is the best airline in the world. Everybody has a different opinion on that matter I'm sure, but according to the World Airlines Award 2015, Qatar Airways was voted the number one airline on earth, runner up was last years third best, Singapore Airlines followed by the Hong Kong based airline Cathay Pacific which was voted the best carrier in 2014. Qatar Airways has won the award twice before, in 2011 and 2012. The state owned carrier has won in the category best business class and best airline in the Middle East as well as best business class lounge. Seems like the perfect airline for any business trip. 2. 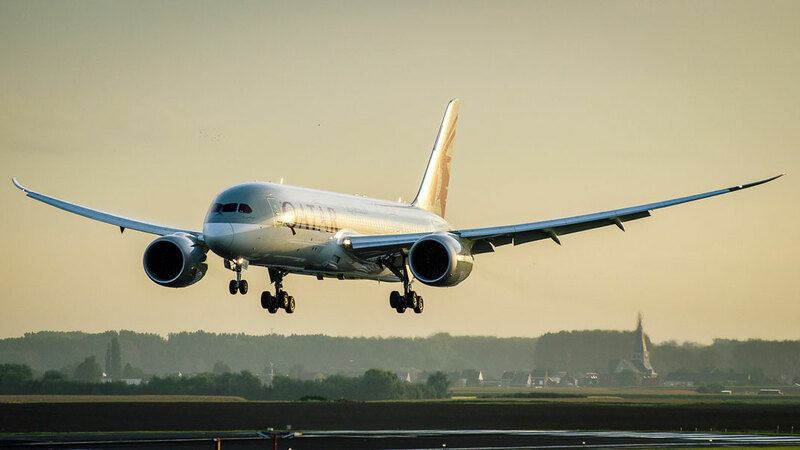 Qatar Airways was the first to operate the Airbus A350. 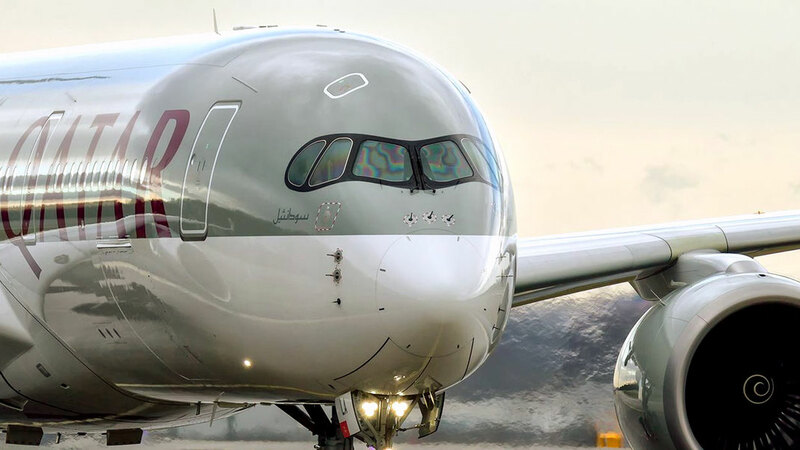 On the 15th of January 2015 the brand new Airbus A350-900 took off for it's first commercial flight from Doha to Frankfurt. A sensational success to everybody who has dedicated it's work to develop this unbelievable airplane. What once started off as an idea was now flying reality, making it the most modern aircraft on earth. Development costs are estimated at 11 billion Euros and to date 777 350's have been ordered by 43 worldwide customers. 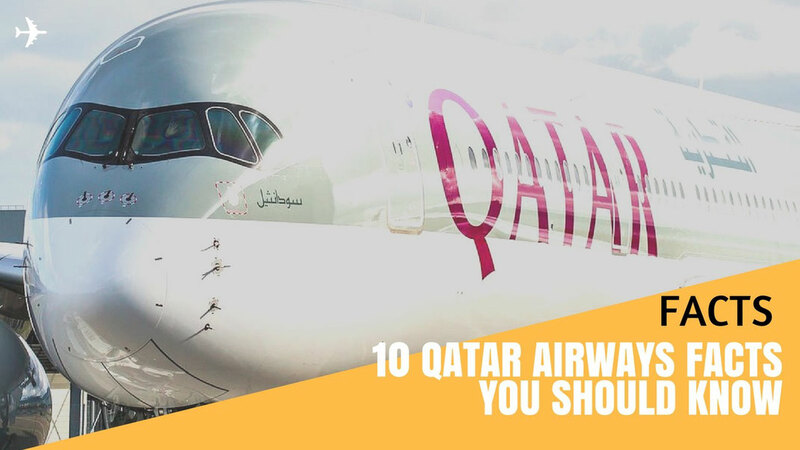 80 of them for the Doha based airline, which is the biggest order of the Airbus of all airlines, followed by Singapore Airlines with 67 and Etihad with 62. 3. 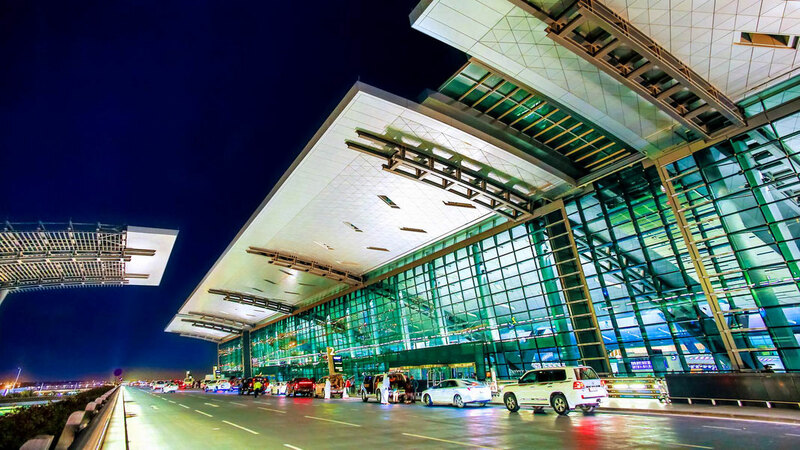 Doha Airport voted the best in the Middle East. Qatar Airways base or better known as Hamad International Airport, was voted "Best Airport" in the Middle East, succeeding the two United Arab Emirates Airports located in Abu Dhabi and Dubai. The new hub opened on April 30 in 2014 and is only 10 kilometres south of the Doha city center with is reachable by metro and frequent busses. Half of the airport is sitting on reclaimed land and both runways exceeding the standard length of most international airports. The reason is the extreme heat during the summer which prevents most engines to operate at full thrust. Hamad International recently announced a partnership between the airport and the German football giant FC Bayern Munich. 4. 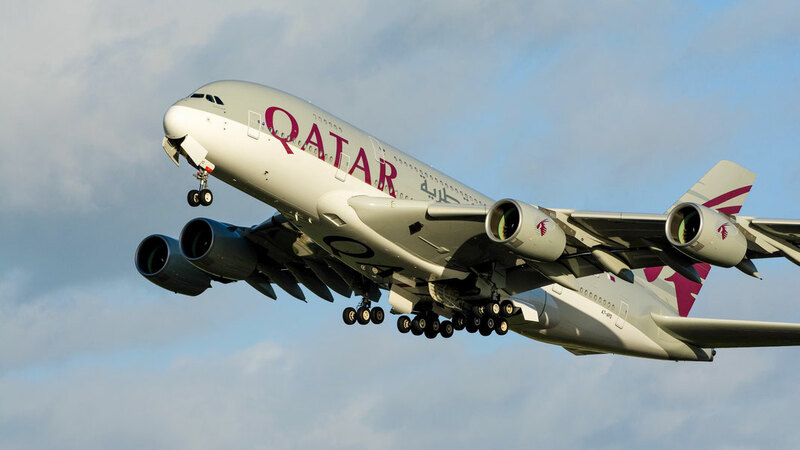 Qatar Airways serves every continent. Only a handful airlines are connecting their hubs with a straight flight to all inhabitant continents, Qatar Airways is one of them. Which also makes Hamad International one of only 5 airports in the world offering a non-stop connection to all 6 of them. A privileged club indeed. Doha, is among other Middle Eastern Airports such as Abu Dhabi and Dubai which also connect their hubs to the rest of the world. The other 2 airports are Johannesburg in South Africa and George Bush Airport in Houston, making it the first and only "Western" airport to be connected with each part of the globe. 5. The first major Gulf Carrier to join an Alliance. There must have been a lot of happy faces in 2012 at the OneWorld headquarters in New York when Qatar Airways announced to join the alliance. In 1999 airlines such as Qantas, Air Berlin, American Airlines or Finnair teamed up to form the counterpart of Star Alliance and SkyTeam. 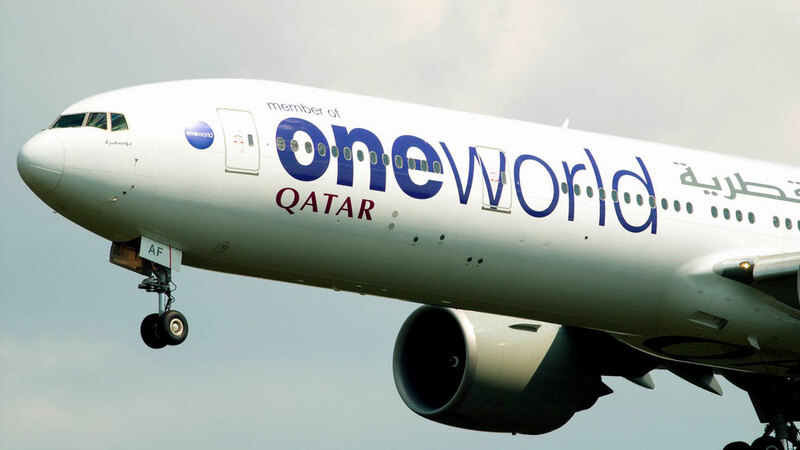 OneWorld consists of 15 full members and was also voted as best alliance by Skytrax for the third consecutive time. 6. Qatar sponsors the best team in the world. 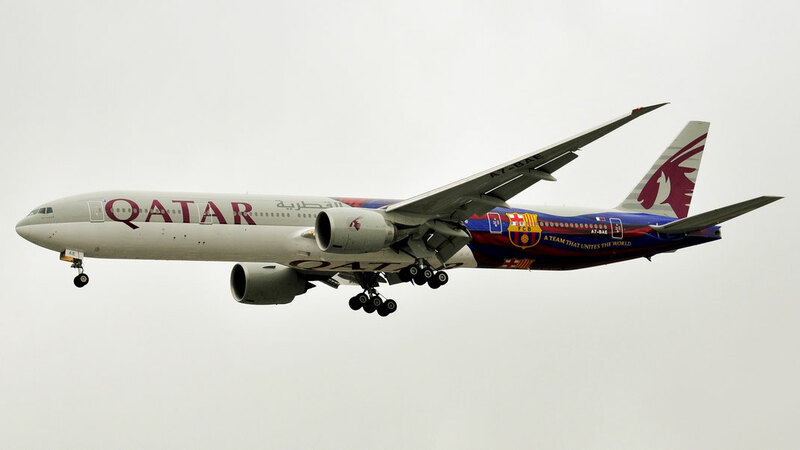 In 2013 the La Liga Champion FC Barcelona and Qatar Airways, two giants within their industry, decided to team up, a deal worth 60 million euros for each season. The Spanish Team around the worlds best football player Lionel Messi will display the companies on their kit. Additional to this deal the "Barca" stars appear in the on-board entertainment system before every movie. That's not all, the safety video shown before each Qatar Airways is quite a hit! The players are starring, showing you how to use the oxygen mask or how to deal in a case of emergency, pretty well done and the clip was shown over 10 million times on YouTube. Check out the link below! 7. First Airline to operate an A380, A350 and Dreamliner. Qatar Airways is the first airline to operate all new generation aircrafts in it's fleet. Many big players in the aviation market are undergoing big changes within their fleets, introducing new airplanes, replacing the older ones. While many airlines decided to operate either the Airbus A350, the Dreamliner or the Super Jumbo A380, the Doha based airline decided to make orders for all of them, being the first airliner to operate all 3 of them. 8. The Arabian Oryx was extinct in 1972. Everybody has seen the purple Oryx on Qatar Airways fin. The national animal of Qatar was completely extinct from the wild in 1972 but was reintroduced to the wild starting in 1982. Initially two herds were used to reintroduce the Oryx back. One from a Zoo in Phoenix, Arizona and another one from a "private collection" in Saudi Arabia. The programme kicked off in Oman and then was further extended to the UAE, Israel, Saudi Arabia and Jordan. 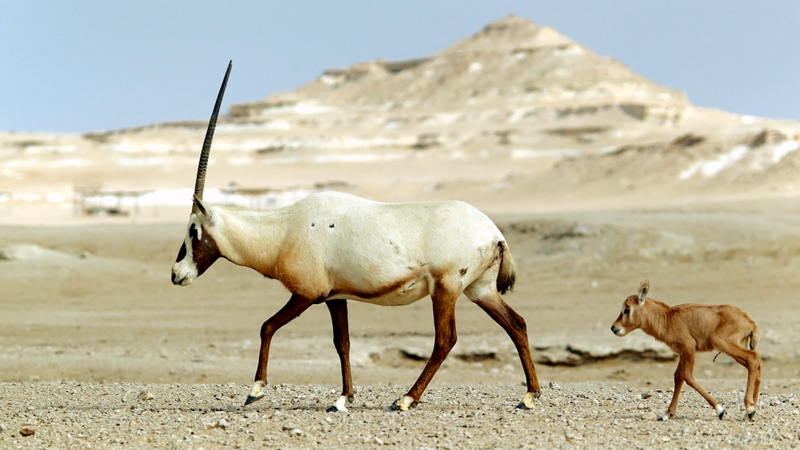 After 25 years the Oryx has spread across the Arabian Peninsula and is only listed as "Vulnerable", which has to be considered as a big success. 9. Doha to Auckland longest flight in the world. The daily service from Doha to Auckland which is due to take off on December 3rd, 2016, is going to be the longest flight on earth. The distance between Qatar's capital and the biggest city in New Zealand is 14,536 kilometres. The flight attendants are going to announce an estimated flight time of 18 hours and 30 minutes. Not many aircrafts are able to perform such ultra long flights and the only suitable candidate is the 777-200LR. Take a guess what the "LR" stands for? Yes, you are right! It stands for "Longer Range". The big difference are the additional fuel tanks, lighter landing gear and raked wingtips. 10. 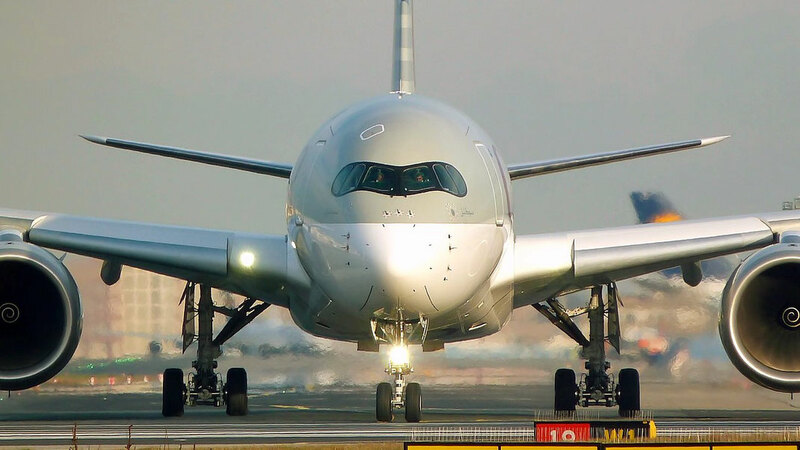 The first airline to land an Airbus a350 in the USA. On January 1st in 2016 an Airbus A350 embarked for a historical flight, being the first airline to land an Airbus 350 on American soil. When the new airliner left Doha Hamad International Airport it wasn't heading for Los Angeles, Atlanta or New York as you would probably expect. The flight was en route America's East Coast, to Philadelphia to be more specific. The biggest city of Pennsylvania is a new part of the yearly expanding United States network of the Qatari carrier. By March 2016 the A350 network has also extended to Boston. 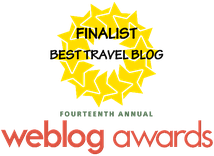 Before you go, read another article!